This Easy Maraschino Cherry Pie will make for a perfect pie for your summer BBQs. 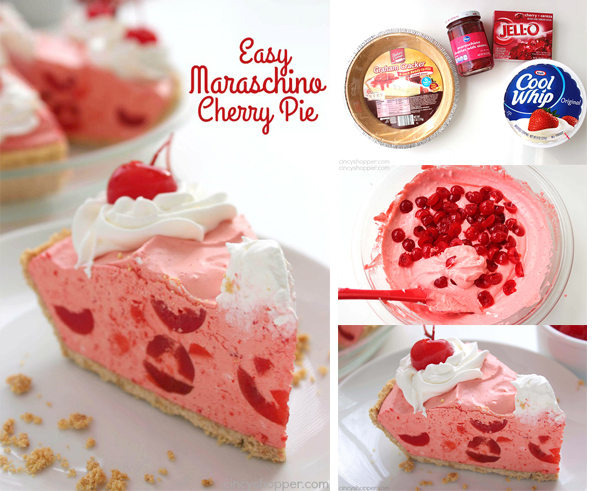 A light fluffy pie that is full of sweet maraschino cherry flavor. During the summer months, we spend quite a bit of time on our patio. We like to grill out most evenings. The kids will hop in the pool and swim while the hubby and I make dinner. I love making tasty picnic type foods. During the day, I will whip up some summer salads like my Pasta Salad with Balsamic Vinaigrette. I usually make really big batches so we can enjoy them all week long. 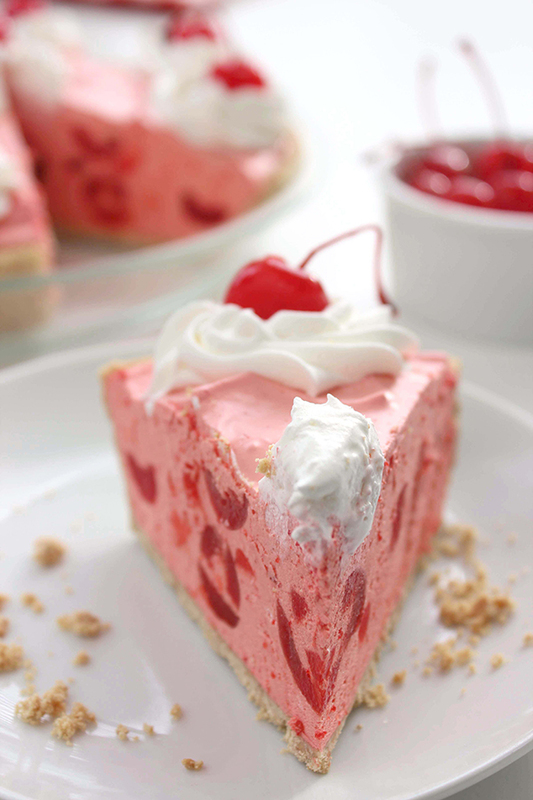 When we have our family bbqs, I am sure to have a dessert to enjoy after our meal. Since we bbq so often, I like to make quick and easy desserts. Simple pies are usually what I make most often. 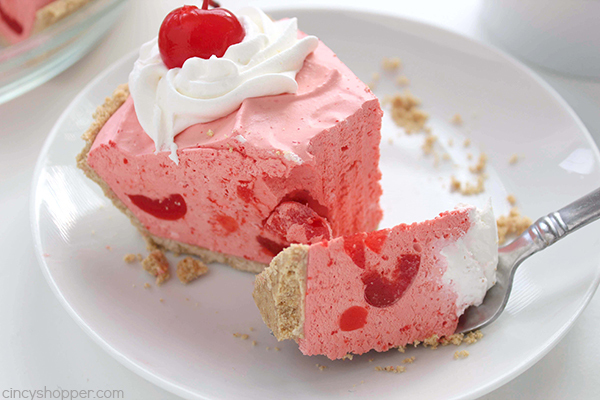 Our favorite summer pie is my CopyCat Shoney’s Frisch’s Strawberry Pie. It is a hit with everyone. 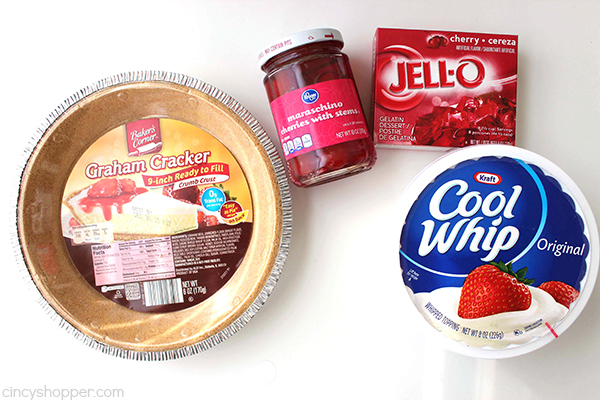 Last summer, I made a Quick and Easy Strawberry Pie that combines strawberries, Jell-O, and Cool Whip. Everyone loved how much flavor the pie had. Since everyone really liked it, I decided to make a Cherry version. 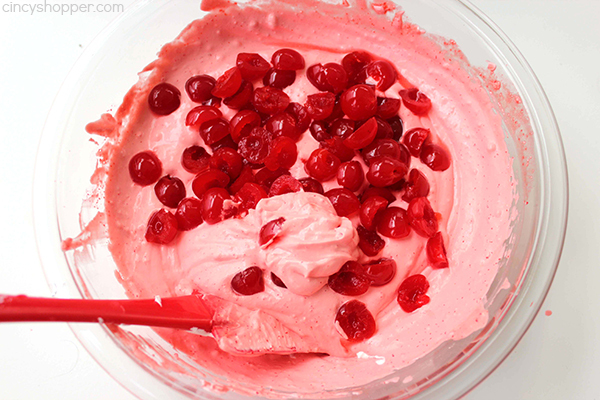 I keep jars of maraschino cherries in our pantry. They are so inexpensive and they are perfect to enjoy on top of dessert or even in summer drinks. 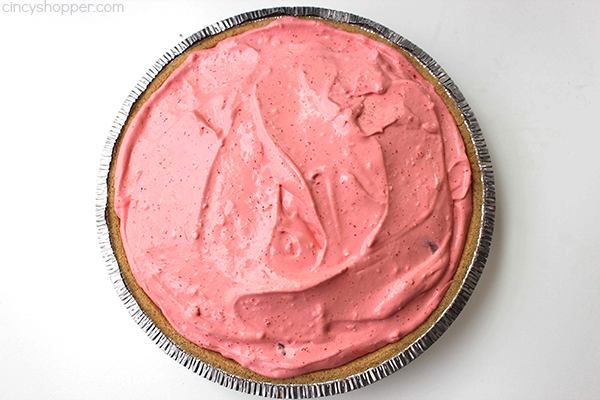 This pie was super light and full of great flavor just like the strawberry version. Since I used a store bought graham cracker crust, it was in the fridge in no time at all. Super simple and super tasty. Reserve 9 cherries for the top. 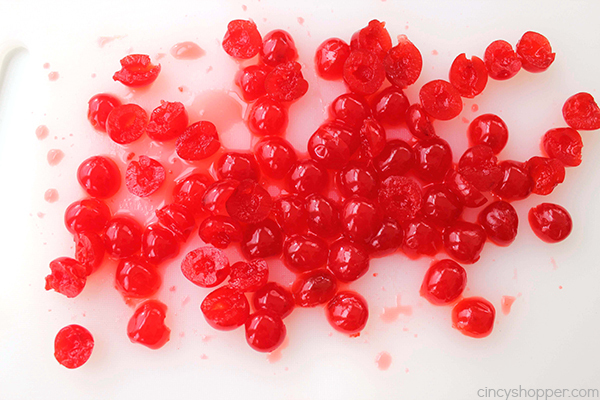 Cut remaining cherries in half. 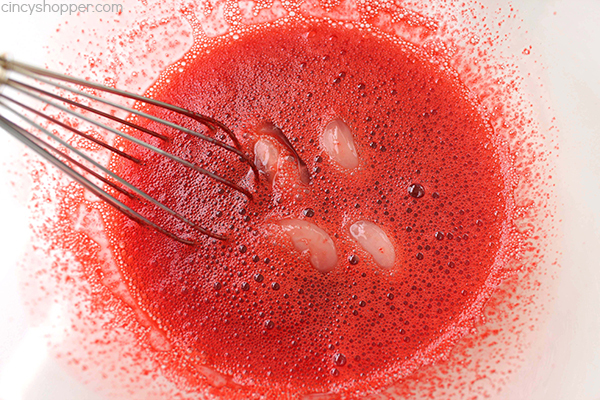 Mix Jell-O and boiling water in a medium bowl. 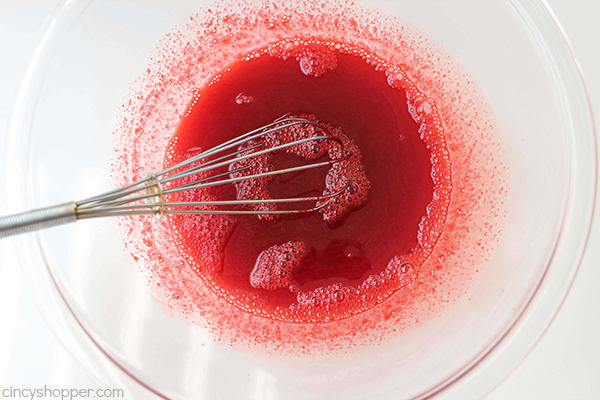 Stir until Jell-O is dissolved. Add ice and stir until Jell-O cools and begins to thicken. 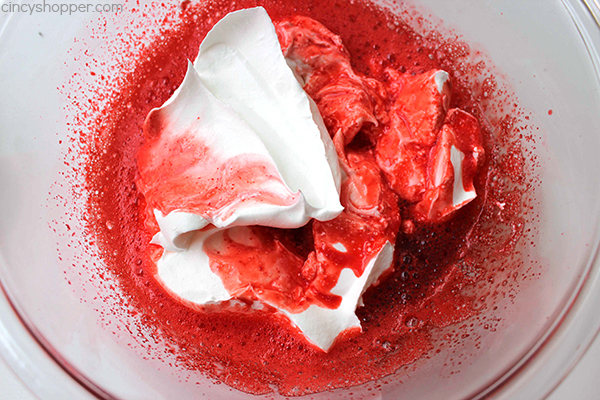 Whisk in Cool Whip to incorporate and then add sliced cherries. Spoon mixture into crust and refrigerate for at least several hours. 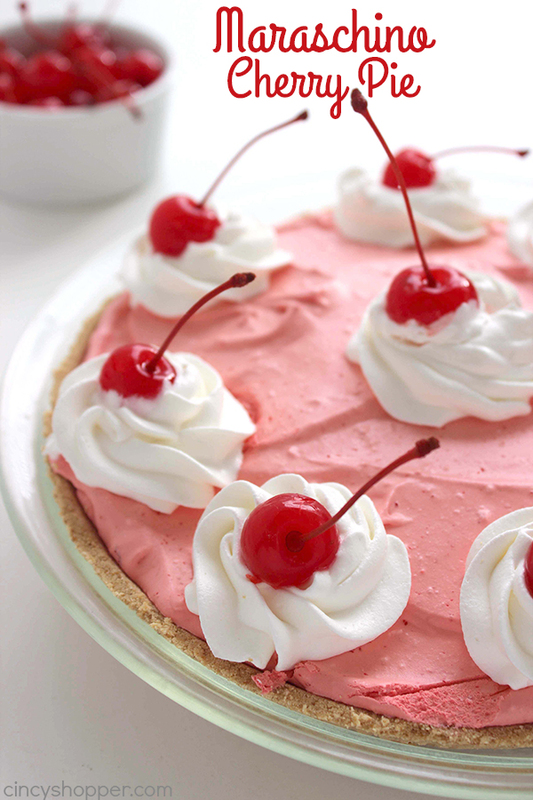 Top with whipped cream (optional) and reserved cherries before serving. 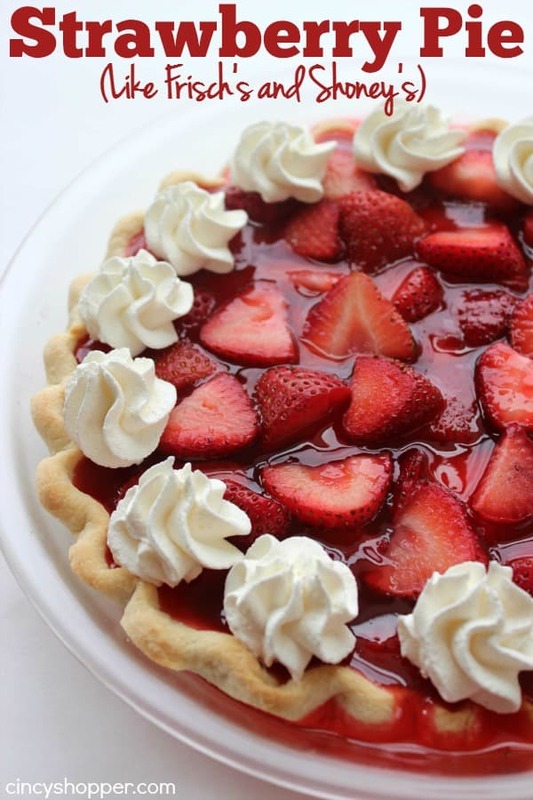 Do you have a favorite summer pie recipe? I love easy desserts. 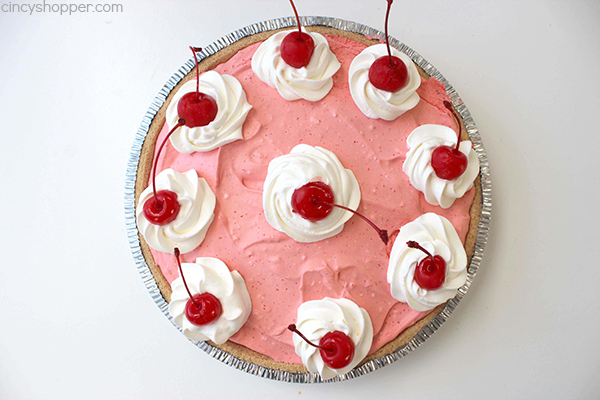 You cannot get any easier than this three ingredient Cherry Pie. It looks beautiful too! A Win-Win! 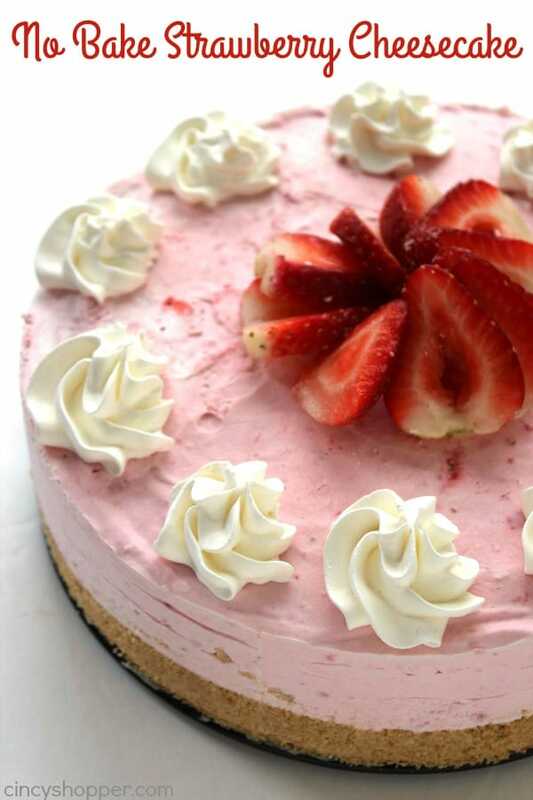 I am loving how few ingredients that are in this recipe, and it looks beautiful! 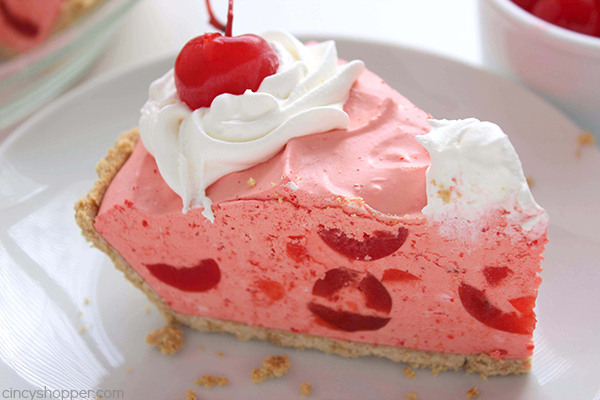 What a lovely slice! 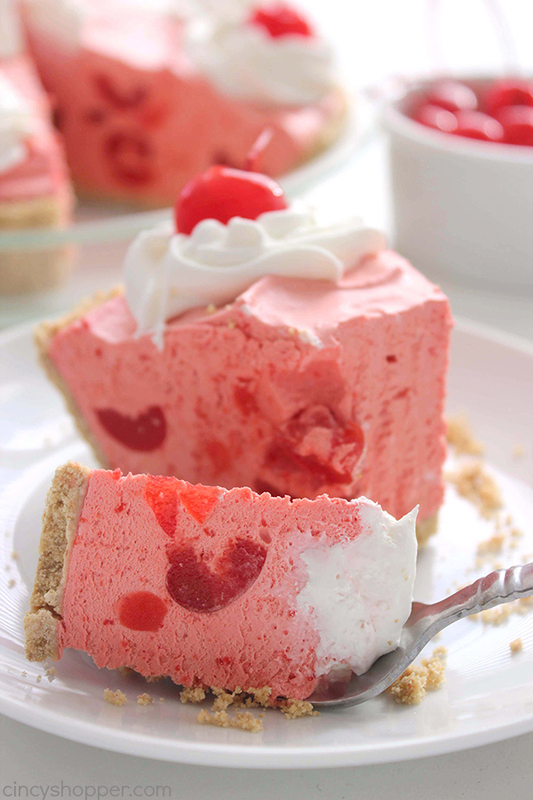 Do you think this recipe would work with frozen sweet cherries? 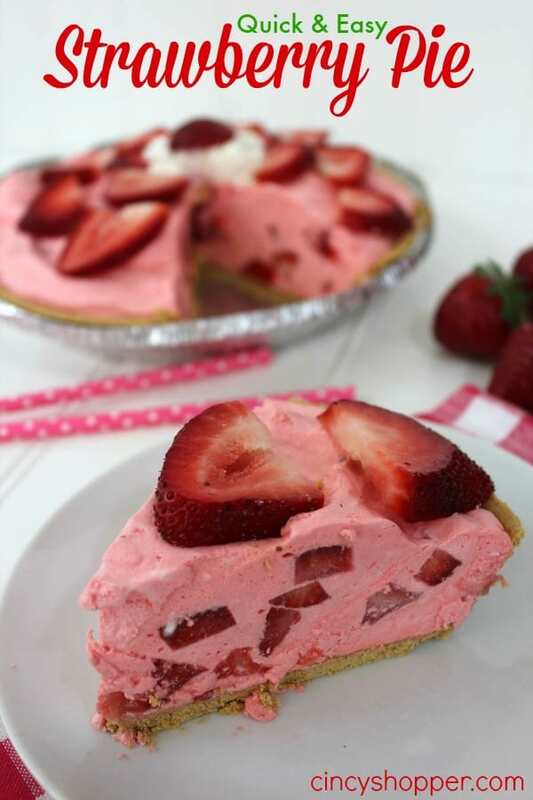 Stopping by again to share this easy delicious BEAUTIFUL pie. Yum! 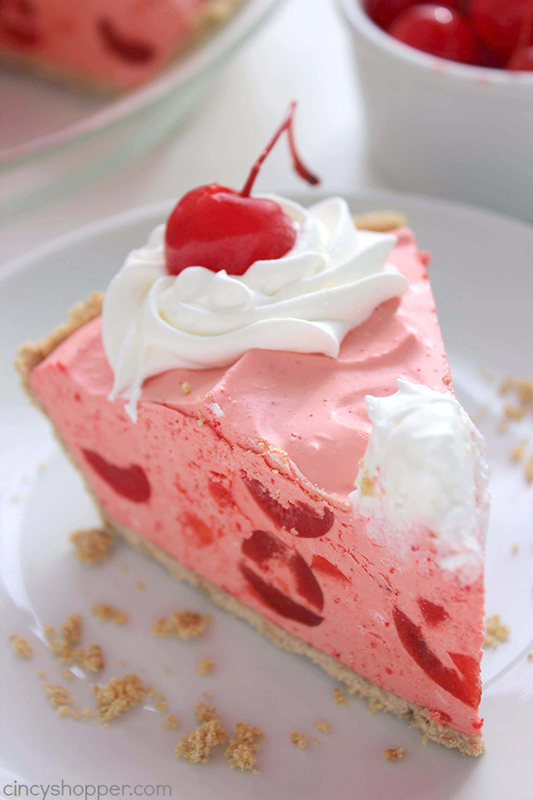 Your pie looks so pretty, and sounds so delicious! Thanks for linking up with Merry Monday this week. I am looking at your recipes, and they remind me of the way my mother cooked, especially your veggie beef soup! I am looking forward to trying all of your recipes! This was amazing. I followed your recipe exactly and it was perfect! My kids were begging for more so I am making another one this weekend. Thank you for an amazing & easy pie! That looks delicious. So nice that it’s quick to make. Looks delicious. Thank you for linking up with us at #HomeMattersParty . We would like to see you again next week. 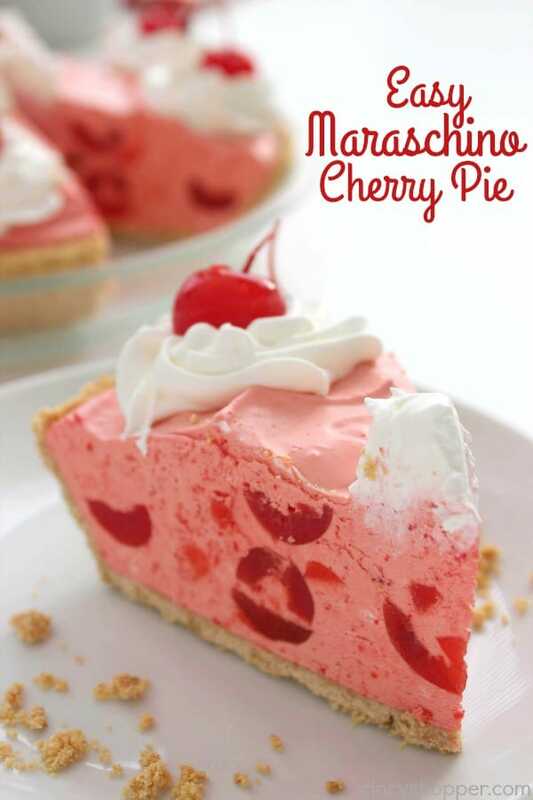 I LOVE maraschino cherries. My family not so much, but that just means more pie for me!